يوفر فندق Waldorf Randwick Serviced Apartments ظروف إقامة راقية وهو خيار رائج للسياح ولرجال الأعمال أيضاً. يقع في منطقة مطاعم, تسوق, شواطئ من سيدني. يمكن من هنا للضيوف الاستمتاع بسهولة الوصول إلى كل ما تقدمه هذه المدينة النابضة بالحياة. سوف يعشق النزلاء موقع هذا الفندق، فهو قريب من أهم المعالم السياحية في المدينة كمثل رويال راندويك, Centennial Park, Royal Randwick Medical Centre . استمتع بالخدمات الراقية والضيافة التي لا مثيل لها بهذا الفندق في سيدني. يمكن للنزلاء الاستمتاع بالميزات التالية: تخزين الأمتعة, واي فاي في المناطق العامة, صف السيارات, غرفة عائلية, مرافق للشواء أثناء إقامتهم في هذا المكان الرائع. في الفندق غرف نوم يتجاوز عددها 17، كلها مجهزة بعناية وجمال وبعضها مزود بـ حوض الاسترخاء, غرف لغير المدخنين, مكيف هواء, تدفئة, مكتب. كما أن مجموعة الخدمات الواسعة الموجودة في الفندق لضمان راحتك تترك لك الكثير من الخيارات لقضاء وقتك أثناء فترة إقامتك. يشكل Waldorf Randwick Serviced Apartments بخدماته الراقية وموقعه الممتاز، قاعدة مثالية للاستمتاع بإقامتك في سيدني. يرجى العلم أن النزلاء الذين يصلون بعد الساعة 9 مساءً يجب عليهم الاتصال بالعقار مباشرة قبل يوم واحد على الأقل من الوصول ليحصلوا على كود الدخول للمفاتيح المحفوظة في الخزنة المؤمّنة. The place like what the others has mentioned is old and seems like it wasnt maintained well. The location is perfect as it is not a busy area but just a bus away and yoi can go to the city already. The TV that we had didnt have volume🤣 and when we first came the electricity tripped. We stayed here for a week when relocating to the area. It was very convenient and the apartment was well equipped. The floors all felt a bit grimy, though, and the apartment was only cleaned once during our stay. Staff hours in the office were minimal, although everyone was friendly and helpful. In all, a regular hotel would have suited our situation a bit better. 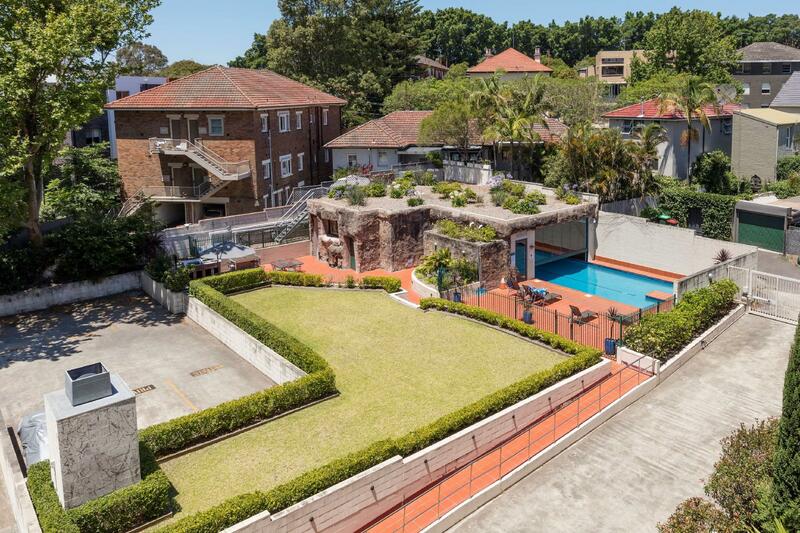 Keeping the budget price in mind, Waldorf Randwick presents much better online than in reality. Where do I start? Dingy corridors with water stained patched carpet, metal grill on the 99.9% unattended reception, hefty call out fees to be paid in cash if you need to get assistance for anything other than an ‘emergency’. The shower was dirty and came complete with mosquitoes buzzing around and scum all over the base of the door not to mention the tiny black worms on the floor in one of the showers and the musty smell of mold in the other bathroom. No room service for 7 days. Empty your own rubbish or be charged a ‘cleaning fee’. It’s glorious! Parking was free but difficult to find when you first arrive and there is no check in bay to pull up out front. Parking is accessible only with the remote given to you by the ‘friendly’ caretaker from the unattended reception.... if you can find her. I would NEVER stay here again. Sorry. Save your money. Buy a tent. The place is not easy to find but is right next door to a Coles Servo. The bus stop is right outside and easy access. There is a great pub up the road called The DOG. Great meals. Rooms are average but clean enough and kitchen facilities were good. This is not a hotel. Reception not manned. Staff were invisible. Pool dirty. Fitness room not available until 08.00hrs 😞. Kitchenette in poor condition. Could do with a refit. Very hard to get in the gate. There are nothing you can do when the gate is closed. The lights in the bathroom is too shiny and also gets too hot for you to use. The room has not been cleaned up. The unemptied bottles were under the bed and furnitures all over the room. The remote for the gate was poor. The reception desk definitely needs to be upgraded. No one is there ever. Great location if you are wanting affordable group or family location near NIDA or racecourse. Buses stopped just out the front or around the corner. A little far to walk for food supplies - best to order in (uber eats!) Our room overlooked the track. Staff are non existent - only on check in. We used the gym and the pool looked good and warm but we didnt use it. Kitchen is compact and had the basics for cooking. due to roadworks it was a little noisy with jackhammers which will go on for quite some time. Overall we had an enyoyable time. We have stayed here before which prompted us to repeat the experience but unfortunately hadn't taken into account road work outside front of building and internal work. This was actually not a major problem but renovations in the building woke us up at 07.10 until somebody shouted for quiet. Also loud banging on and off throughout the day. I'm sure I will stay again if I check feedback at that time and work has settled. Stayed at a two-bedroom unit for a total of nine nights. The place was equipped with everything we needed, including a washing machine and a dryer (laundry in Sydney can get pretty expensive). Rooms were clean, beds were comfortable. Coles express is just right next door. The downside is the noise from the main road - which is busy til late at night and services multiple bus routes. If you're a light sleeper, try and request for a room that isn't facing the main road. Busses are convenient, with multiple bus stops within a 3-minute walking radius. Direct bus routes available to major areas around the city (Circular Quay, Central Station etc) and operate frequently - no more than 10 mins wait for busses. However, no direct bus routes to Bondi Beach even though it's just 4km away - two buses plus 40mins required to get there, interchanging at the city. For the price, it's definitely unbeatable. I'll stay here again when I return to Sydney. A great place to stay if you need to get to the airport. Also Coogee Beach is only a few minutes away. Our apartment on the 7th floor was spacious, comfortable and well equipped and we really appreciated the secure parking. 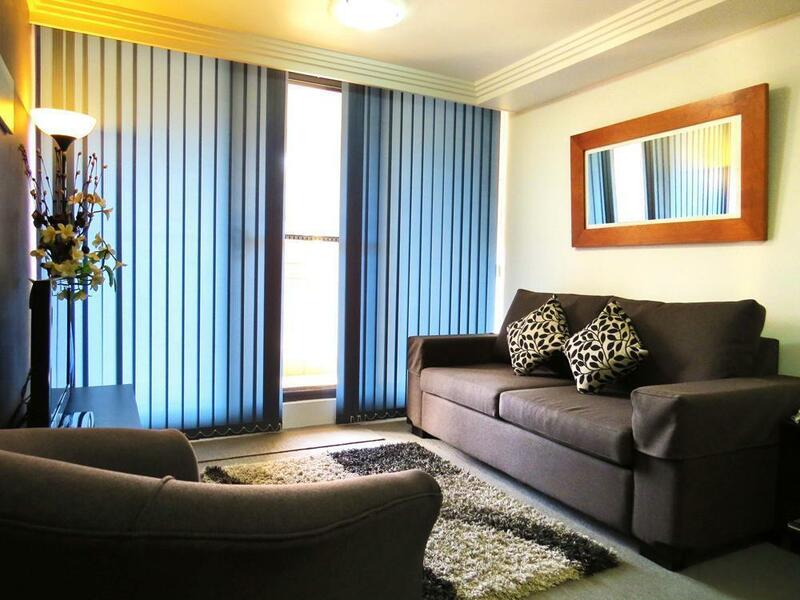 The Waldorf Randwick Apartments are well located, being on a bus route close to the CBD. We really enjoyed our 4 night stay. The Apartments were spacious. It had everything we needed for our stay. Lovely pool and BBQ area. The bus route to other suburbs is only metres away. We stayed over new year for 4 nights and had the air con on the whole time as Sydney swelters. It worked great and was luckily running when we checked into the room early at 11.45am. There's a small gym with newish equipment and cold air con and a nice pool which our friends used. The reception isn't manned so you ring the caretaker/manager family if you have any questions. 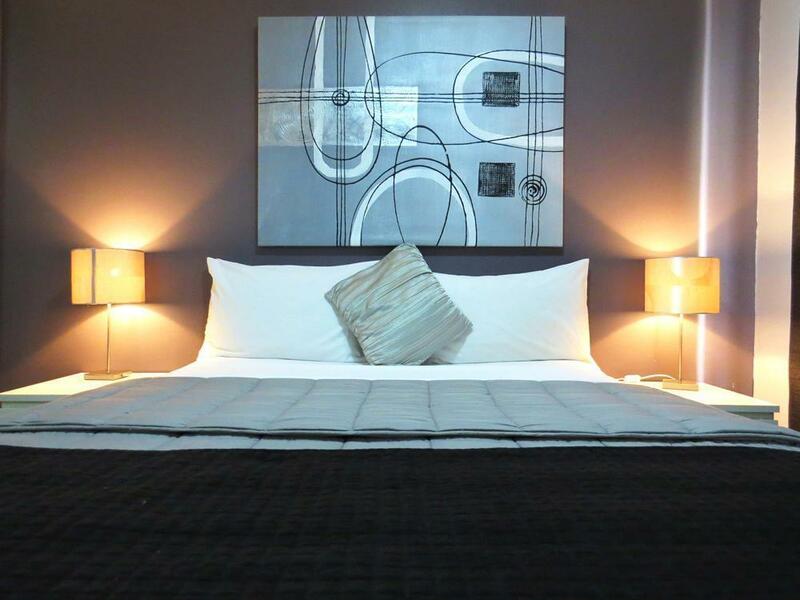 The apartments are all owned by individuals so vary in decor and amenities. We had good Foxtel channels but the safe wasn't available to use as we were told the owner hadn't left access in either our of our friends apartments. An excellent stay and light rail is being extended from George Street in the CBD to outside here!